Death in the Sickroom by Edvard Munch is an expressionism style oil painting created on canvas. It’s housed at The Munch Museum and is part of the Munch Collection. 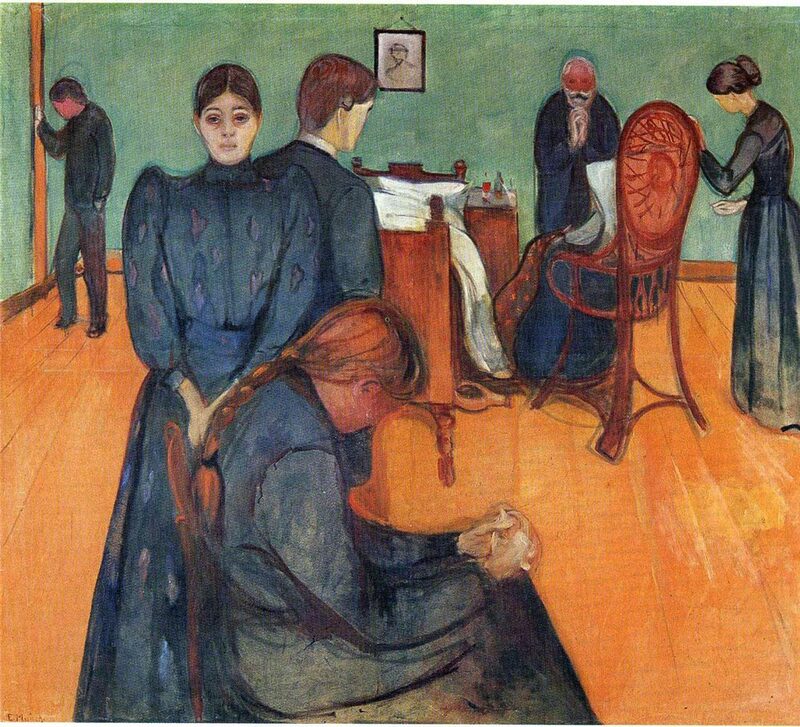 Death in the Sickroom was created when Munch was dealing with the death of his sister Sophie. It recalls what happened when she passed away while inside of a doctor’s office. The setting of the painting is a waiting room where there are sick people and those that are waiting on them. The woman sitting in the wicker chair at the back has already passed; she is Munch’s sister. Munch is the figure standing next to her, praying after her passing. Everyone in the painting except for the woman looking straight forward has his or her head down. The wall in the painting is a sickly colored green and the floor is a rusty brown shade. Death and sadness is the theme of Death in the Sickroom.